Writing is often a solitary endeavour, so supportive writing communities, like the Rough Writers at Carrot Ranch, led by Charli Mills, are invaluable to authors. They’re a safe place where we can express our creativity, receive and offer feedback, and feel we belong to a greater worldwide community we would never be able to reach on our own. Rough Writers are an encouraging and friendly group who often comment on each other’s flash fiction. There are usually lively discussions on the weekly prompt day and the round-up, as well as comments on each other’s posts. My first contribution to the Carrot Ranch Flash Fiction Challenge was in February 2015. It’s been a great pleasure to have contributed with almost fifty stories over the past three years and to have read hundreds of other stories. I’m always amazed at how many different approaches the rough writers come up with to the same topic! The first flash fiction anthology from Charli’s Rough Writers over at The Carrot Ranch was published in February, 2018. I am honored to have been part of that anthology, which was made possible by the participation of over thirty regular contributors to Carrot Ranch’s weekly Challenge, as well as Charli’s enthusiasm as group leader. A very special mention and thanks to Sarah Brentyn, the fabulous editor of the volume, who made sure all our contributions were perfect (she certainly helped me make the most of mine! Thank you Sarah). The Congress of the Rough Writers Flash Fiction Anthology Vol. 1 is available for distribution in 17 countries worldwide. The more I unclutter and draw my readers straight into the story, the higher the chances they’ll keep reading. Contemporary readers are both busy and impatient, and their attention spans are shorter, because they’re more used to multitasking and online reading. I know this because I’m also a contemporary reader and I interact with many others! A great deal has been written about this, for example this article in the Guardian, Ebooks are changing the way we read, and the way novelists write. · Boosting my word power. How to Make Every Word Count? Whatever I’m writing, be it a poem, a flash or a novel, the first draft is all about finding and creating my story, so I write to my heart’s content, the more words and information the better, because at this point, I’m telling the story to myself. It’s later, with the subsequent edits, when I start thinking of my readers, that I edit consciously and viciously. I ditch or combine scenes, shorten paragraphs and chapters, tighten sentences and ultimately, cut out words, or rephrase to clarify and get to the point. In flash fiction, for example, a lot of the first draft will be brainstorming ideas, scenes, whole sentences, ignoring the word count. · Does the word move the story on? · Does the word tell the reader something essential? · If I read the text without the word does the sentence still convey my intended meaning? · Can I include the idea behind the word in another shorter way, for example with another expression or a different verb? · Is there a more direct and clearer way of writing a sentence? · Am I satisfied that each word conveys my intended meaning? There’s always a perfect word and I need to find it. I still have my original Roget’s Thesaurus, which I bought in 1980 on my desk, plus all the online tools available to activate all the vocabulary my brainpower can recall. · Finally, I prioritize. I may need all the words, but I have a word limit. I must decide which words, or groups of words, even whole lines, are more essential than others to convey my meaning. This is why it takes me less than thirty minutes to write the first draft of a flash or poem and several hours, often days, to come up with the final version. With a novel it takes me about three months to write a first draft and at least six more for the subsequent drafts and edits. Before concluding, I’d like to indulge in a short trip down memory lane and include my first contribution to the Carrot Ranch 99-word Challenge. Aunt Lucy (Published on 9th February, 2015). Here’s a previous post I wrote about how flash fiction has improved my writing. You might enjoy visiting these other Rough Writers who have taken part in the book launch and tell us about how flash fiction has influenced their writing. 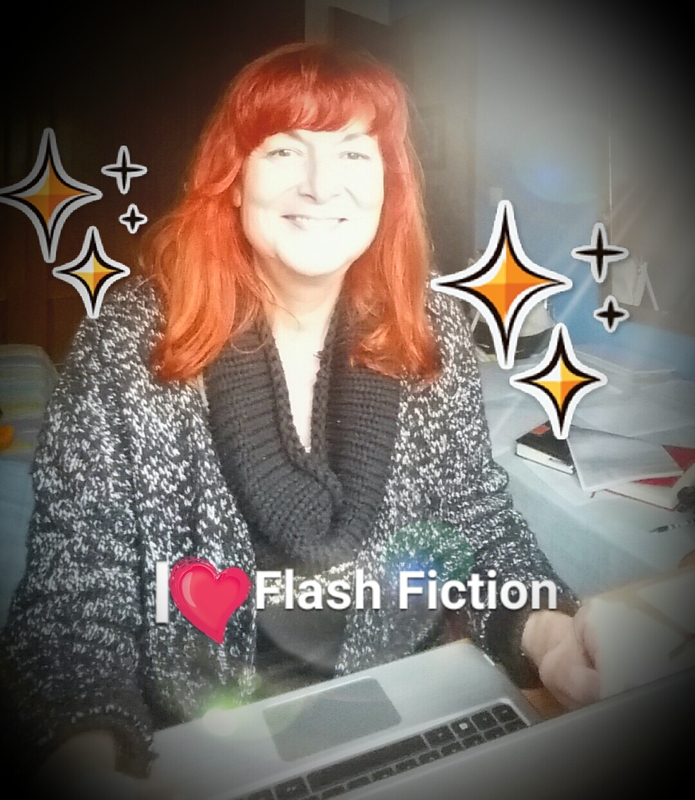 What’s your experience of writing flash fiction? Has it helped you improve your writing, too? I agree with everything you’ve said Luccia. 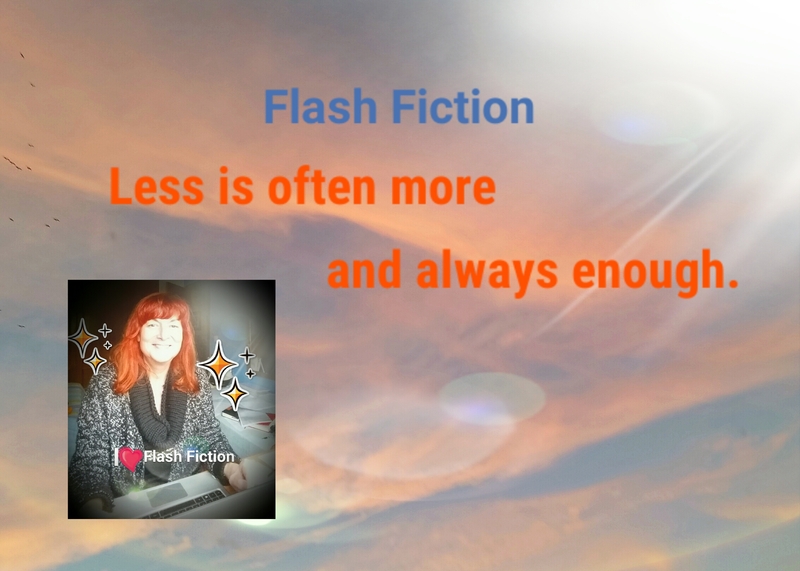 I spend less time on my flash fiction but much more time writing and editing. I’m in awe. The ranch culminating in the anthology has been a great experience. Hi Irene! Thank you so much for your comment and support. Yes, I agree that the Ranch Anthology has been a great culmination to years of creativity and interaction. We ‘met’ writing flash fiction over four years ago. Looking back on my Flash Fiction, my very first one, back in 2014 on Flash! Friday, now extinct, you were one of the first bloggers/writers to comment on my first ever flash. The only challenge in blogging is the time constraints. I have a full time job, an extended family, a writer’s life, and sometimes I just don’t have the time to interact with other bloggers as much as I’d like. I know Luccia. I am the same and I don’t have a full time job (I try to think of writing as a job) but you do what you can and hope others understand. I think it’s not just writing that needs uncluttering – if we pare back in our lives we see what is really important! Thank you for sharing your writing process with us during your Tour stop. I, too have my original Thesaures dating to my school years in the 1970’s. It is still my first go to resource when I need ‘that word’. It’s a wonderful feeling to be part of the Ranch crew. A sense of commeradery and belonging we can all enjoy whether you’re the first time flash writer or a seasoned novelist. Yes, it is a wonderful feeling to be part of the ranch crew. Thank you for visiting and commenting. What wonderful tips to share from your writing process, Lucy! I remember this first flash fiction of yours, too and feeling excited when yet another talented writer showed up to play. We all have competing priorities and that was part of my commitment to creating a space that would consistently be there and be fun to drop in and unwind or hang around. I’ve especially enjoyed your historical flashes, learning more about the era in which you write your novels. Thank you for being a part of the crew! Carrot Ranch is an amazing writing group, Luccia. I have learned so much from you all and especially from Charli who is helping me with my new book. I am finishing my current book and this anthology is next on my list. What a great stop on the RW World Tour! Your first flash is excellent, with its punch at the end. Thank you so much, Luccia, for the mention. I am humbled. It was a privilege to work behind the scenes. Thank you for working with me on the ‘new’ section. I’m thrilled you participated and are in the anthology. Your piece is amazing. 💖 Hope you’re doing well. Your support and insight were a great help to me personally and I know how tough an editor’s job is, especially in this case, dealing with so many contributors. I love writing flash fiction. It’s challenging and rewarding, so I’d like to continue taking part in future anthologies and ongoing challenges. I’m fine thanks. Busy polishing my fourth novel and blogging away! Thank you. 😊 So excited to hear of your fourth novel! I’m so out of the loop. Is it a new series? Well, whenever your books get here, I look forward to them. Will keep an eye out. I am getting by. Cherries and pits or something like that, right? Trying to focus on the things that are really important in life. Shifting priorities and being mindful. All the best to you, my friend.